The Victoria Charm is a lovely elongated charm and the name is stamped vertically going down the charm. It's the perfect addition to your mother's necklace or charm bracelet. The stamped Victoria Charm has a unique shape and adds a touch of class to any mother's necklace or bracelet. 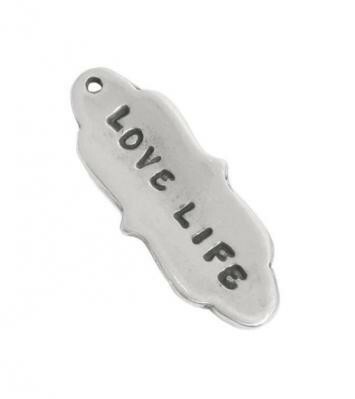 This sterling silver charm can be stamped with up to 8 characters. Up to 9 characters can be stamped on this charm in our Nelle or Lizzy font. The charm is approximately " x ". I LOVE IT! THE ONLY THING IS I HAVE TO SEND IT BACK TO BE PUT ON MY NECKLACE.